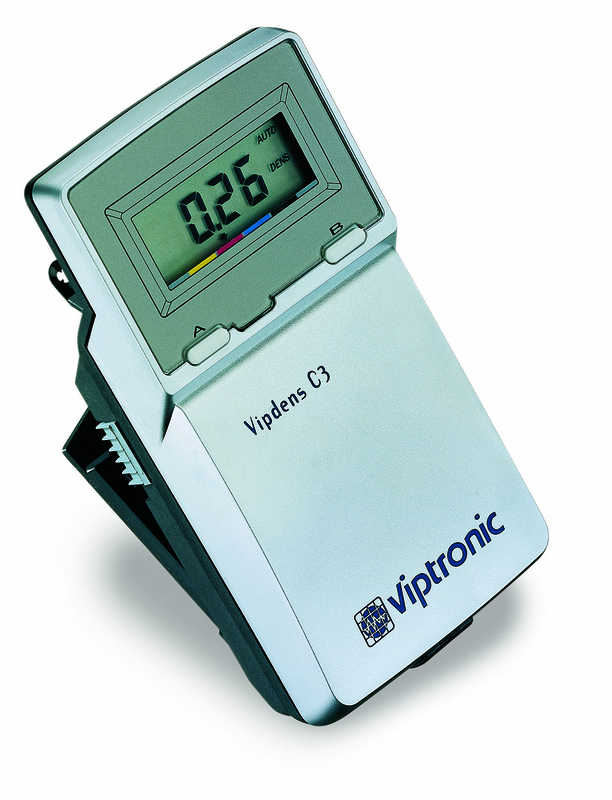 The Vipdens C2 is a colour reflection Densitometer ideal for use by printers who wish to read basic density information on their press. Measures Cyan, Magenta, Yellow and Black density, density difference, grey balance and special colours. A conventional colour Densitometer ideal for the testing of ink weights on print. The units multi-spectral LED optical system enables measurement of density up to a Dmax of 2.5. 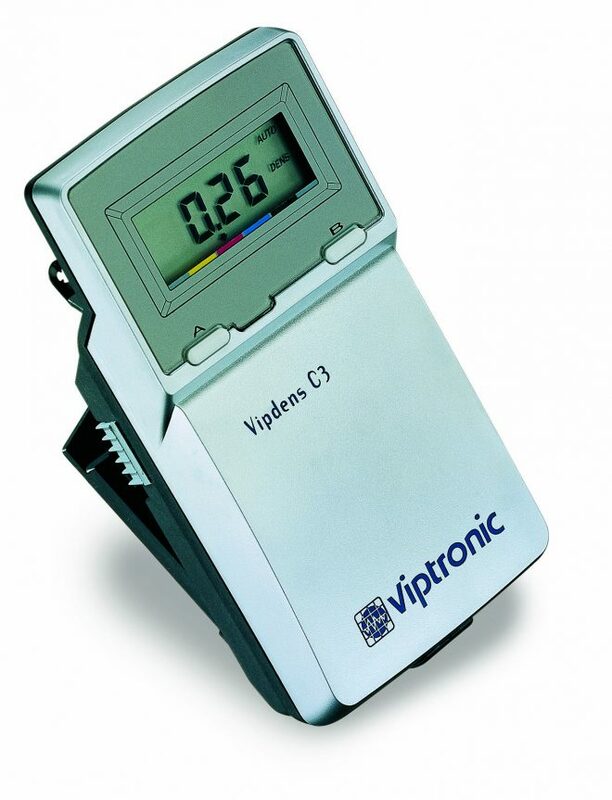 The RS232 ports allow connection to a printer or our software programs VipTab, VipStat, or VipSplit, so that values can be stored, analysed or entered directly into spreadsheet software.